BCAA 3000 Timed Release by MHP contains a formula of great anabolic power thanks to the provision of branched chain amino acids (BCAAs) in the ratio of 4:1:1 (leucine, isoleucine, valine), for maximum recovery and development. Research has revealed that within BCAA´s, leucine is the one with highest anabolic connotations, being a decisive factor as activator of the mTOR pathway, and generating protein synthesis. BCAA´s are essential amino acids, in other words, they must be provided through the diet or supplementation, as our bodies do not synthesize them. 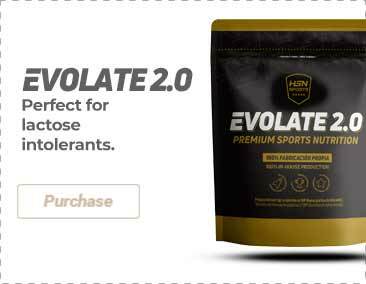 To this effect, using them at the optimal time, such as pre and post-workout, can lead to an extra supply of important ingredients that halt protein degradation, and launch building mechanisms in the muscle tissue. BCAA 3000 Timed Release has an added timed release formula to maintain the ongoing balance of amino acids. Thickener (E460 microcrystalline cellulose, E464 hypromellose, E460 methylcellulose), Anti-caking agents (E570 stearic acid, E572 magnesium stearate, E551 silicon dioxide), Colorant (E170 calcium carbonate, E171 titanium dioxide). As a food supplement, take 4 tablets 1 or 2 times a day. For optimal results, take 1 serving before workouts and another immediately afterwards.